Baseball Puppy mat measures appx. 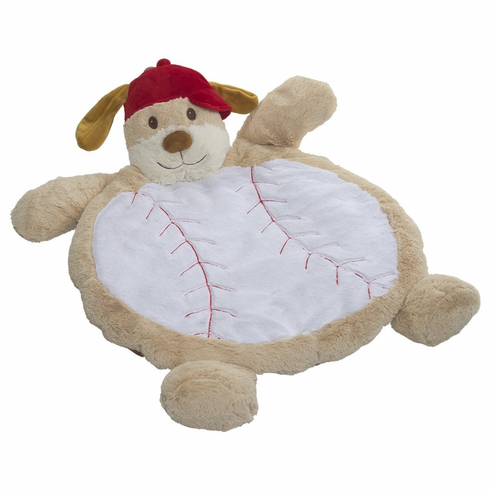 31" x 30" x 3" and is perfect for your little baseball baby to play and relax on! Super soft 100% polyester holds up through years of play. Terrific baby shower gift...babies love the softness of the fabric!